Multiple studies had been conducted (and more are underway) exploring out how medical cannabis can improve health. Different sectors have also taken an interest and in fact, invested in research and development to explore the potential therapies that cannabis can bring humankind. It is no surprise to medical cannabis doctors that cannabis offers plenty of health benefits, including relief of pain, mood disorders and weight gain. Cannabis can help you lose weight because it can manage caloric intake and regulate insulin production. But more than its body-contouring benefit, it can also manage symptoms of diabetes and again for its ability to regulate insulin production. In addition, scientists have also pointed out that it can help in fighting certain types of cancer and aiding in chemotherapy especially in appetite stimulation among patients. And for those battling depression, substantial evidence has also discovered that the herb can help in treating it by restoring proper endocannabinoid function to stabilize one’s mood, eventually easing depression. Along these lines, MMJ is also said to help alleviate anxiety disorders that trouble many people today. Regarding bone health, it can help heal a broken bone for its ability to react with the body’s collagen to speed up the healing process and reverse bone loss. That’s another great find, but it doesn’t stop there. In fact, studies had it that cannabis may help treat glaucoma, too, for its ability to lower eyeball pressure. And for multiple sclerosis patients, medical marijuana doctors recommend medical cannabis to help in alleviating MS symptoms that include but are not limited to pain, spasms and tremors. And last but not the least - cannabis can improve lung health unlike with tobacco smoking. Studies had it that lung disorders such as emphysema and lung cancer improve when cannabis is combined with treatments. Smoking tobacco can cause lung diseases such as chronic obstructive pulmonary disorders (COPDs) that include chronic bronchitis and emphysema and lead to lung cancer. Asthmatic smokers, on the other hand, might suffer from frequent or worse attacks smoking tobacco. According to CDC, smokers are also by up to 13 times more likely to die from COPD or to develop stroke (by up to 4X), heart disease (by up to 4X) and lung cancer (men, 25X; women, 25.7X) than nonsmokers are. Overall, the same source revealed that tobacco smoking leads to increased absenteeism and decreased health. It’s the opposite with cannabis. Based on a study published in the Journal of the American Medical Association, MMJ doesn’t impair lung function but increase its capacity. The study discovered that those who smoked tobacco lost lung function but cannabis users improved lung capacity because inhaling deeper breaths could actually increase lung efficiency. Harvard Health also published that its moderate consumption won’t adversely affect the lung function based on a study. And at a rate of smoking one joint daily and over the course of seven years doesn’t appear to impair lung function. 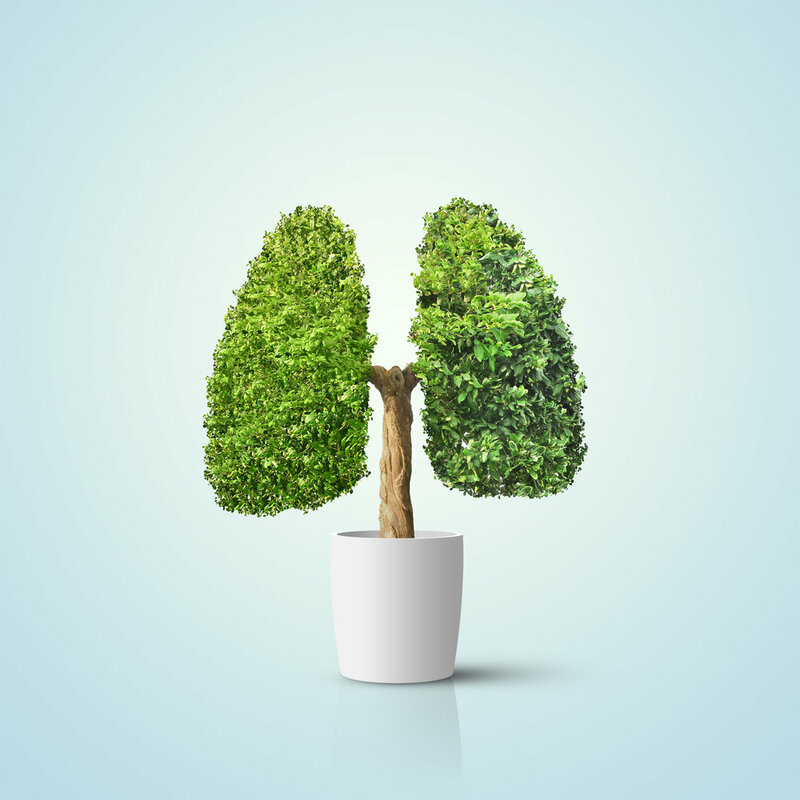 More on the good news – the reason cannabis may actually improve lung function is also because inhaling deeper gives the chest muscles and lungs some form of exercise. According to this source, there is also some evidence that occasional use can increase lung volume and airflow rates. The study conducted by the University of Alabama (Birmingham) and The University of California (San Francisco) spanned for more than two decades involving over 5000 men and women. Tobacco harm showed clearly but cannabis didn’t show to cause lung degradation. And even those who had one joint daily for 20 years didn’t suffer from decreased lung capacity. However, the study did point out that it’s unclear why tobacco smoking seems to be more harmful than cannabis because they’re both smoked, and smoke contains chemicals. One thing to look at is the THC content of cannabis, which possesses anti-inflammatory effects that soothe the lungs. Definitely, more research is needed to validate how actually smoking cannabis is less harmful than a cigarette is. Also, studies on how MMJ can help in improving lung capacity should be looked into. Right now, there is a clear basis on ways that cannabis isn’t harmful but helpful for the lungs but at a moderate consumption level.